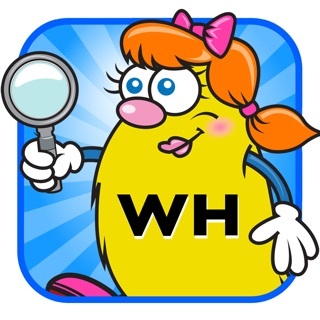 Learn about the Webber Core Curriculum Vocabulary Cards PreK-K app by downloading the FREE APP. You can purchase the remaining three decks for each grade level through in-app purchases. Separately, each deck is $2.99. ALL DECKS include DATA TRACKING for monitoring student progress. Educators unable to make in-app purchases through their school districts can purchase a Core Curriculum Vocabulary Cards-PRO Version and receive all four decks (Language Arts, Social Studies, Math, and Science – including data tracking) for $8.99. 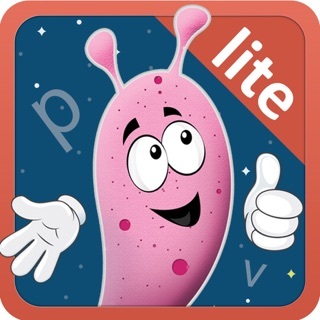 Each of these educational apps from Super Duper Publications introduces and teaches students 100 core curriculum words they need to know across four subject areas (Language Arts, Science, Social Studies, and Math) to experience success in the classroom. 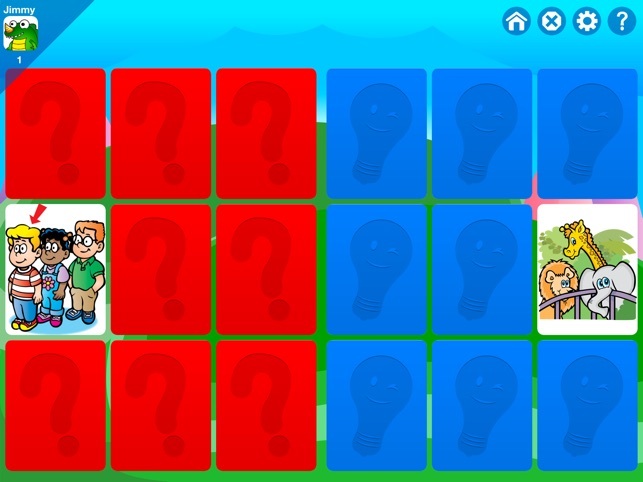 Each deck also includes four entertaining games that reinforce and motivate students to learn the vocabulary. 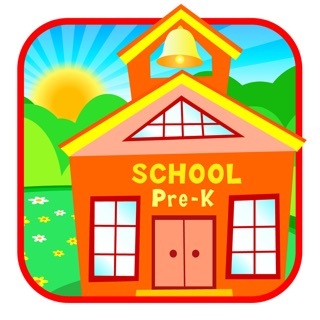 Get FREE Social Studies cards when you download PreK-K! In each game, players may choose to read the prompts or tap the cards and listen to the prompts. •Secret Decoder – Student reads or listens to the prompts and answer choices, selects an answer, and then slides the Secret Decoder over to check his/her response. •Multiple Choice – This game has two ways to play. The “Word” game gives the student a definition, and then the student chooses the matching vocabulary word. The “Definition” game gives the student a vocabulary word, and then the student must choose the matching definition. 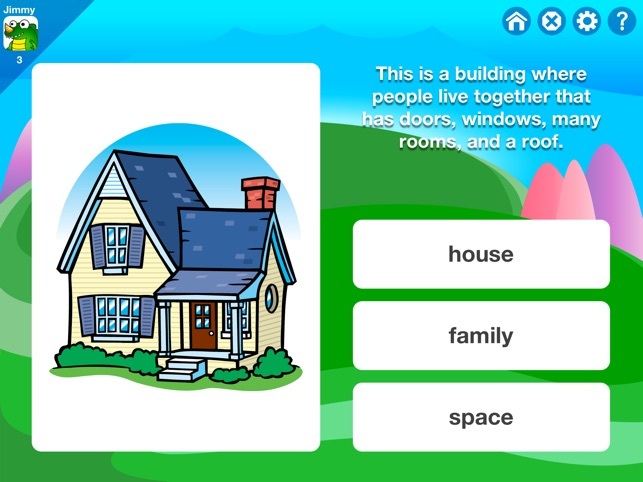 •Drag ‘n Match – Student drags a vocabulary word card over its definition card, or vice versa, to make a match. •Presents 25 vocabulary words and their definition at each grade level for Language Arts, Social Studies, Science, and Math. 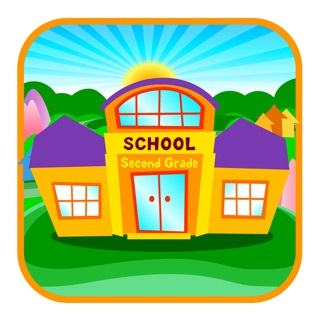 (100 words per grade level with no duplicates across grade levels). •Includes audio of all text for non-readers. 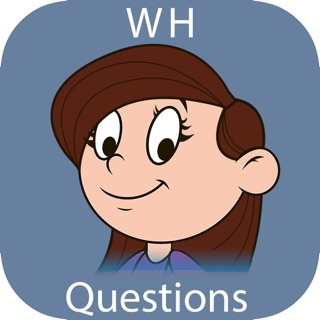 •Has option to have correct answers read back to students after an incorrect choice. 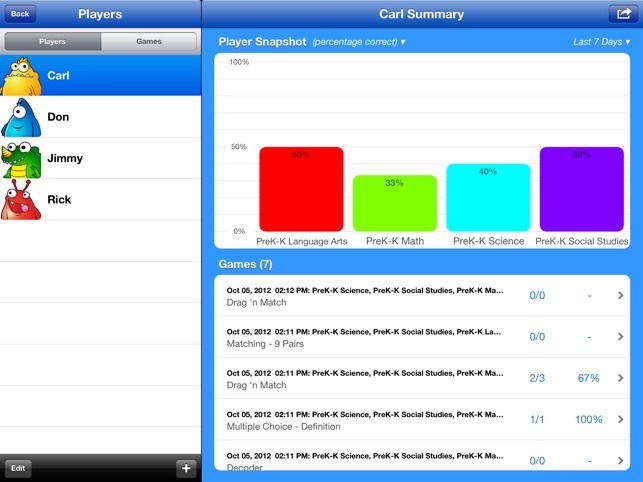 •Score student responses manually or automatically. •Track extensive data for an unlimited number of students. •Receive feedback for correct and incorrect responses. •View a student’s results for all sessions at any time. •Examine and evaluate student progress over time using graphs. •Email, print, and share session results. I purchased this app for my four year old to preview it for therapy. She handled the definitions well and has started to play with the definitions recognizing the words by sight! This could be used as a quick informal language assessment for RTI. 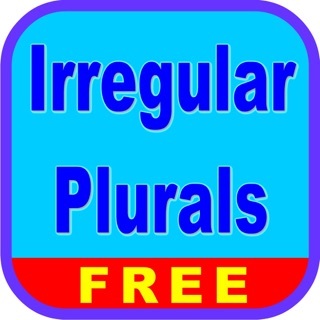 I purchased this app for use in therapy with kindergarten and 1st grade. The definitions are too long and complicated for this age group. I am very disappointed and would definitely not recommend. Go to your local teacher store instead.